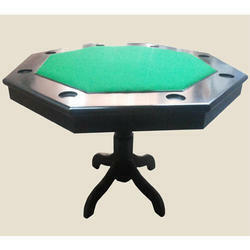 We are the leading manufacturer of Card table. Size 4'.8" X 4'.8" X Ht. 29.5"
Size : 4'.8" X 4'.8" X Ht. 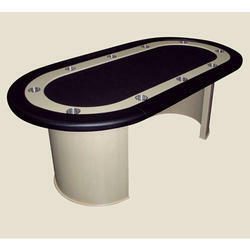 29.5"
The racetrack is made of mdf covered with black laminate. 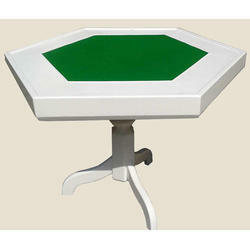 The dimensions of Hexagonal tables are 54"W x 29"H.
The arm rest is made From MDF Having Venier On It. of furniture in any room in your house, office, pub, or business. Outfitted with a progressive and ultra modern infrastructure, we are presenting an unbeatable collection of Playing Card Table to our patrons. Used for sitting alongside and widely demanded for playing cards, these can easily be seen in card cafes, casinos and hotels. Available with us in a variety of elegant and elite designs, we also offer custom made options to attain maximum customer contentment. 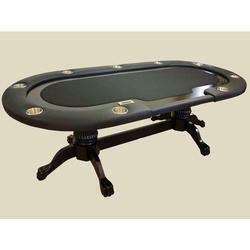 The Playing Card Table are available for the clients at industry leading prices. 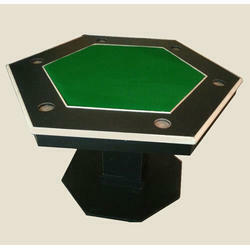 These Playing Card Tables have a hexagon table top, which allows 8 people to sit and play. 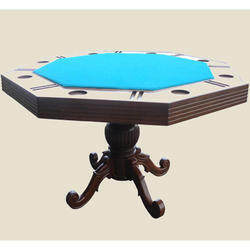 We manufacture the pedestal base of these tables by making use of solid wood and veneer. 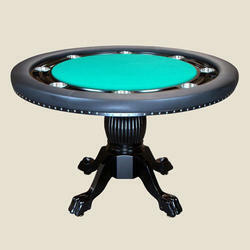 We are offering Classic Card Table to our clients.